Wobage pottery evening classes are now in their 5th year, their popularity creating a thriving, creative, productive and sociable community of makers on each of the three evenings. With priority of place offered to existing students, new places not often become available. Such a last minute opportunity arises here, for two students to join Josh’s new 10 week term, held on a Friday and beginning on Friday 28th January. 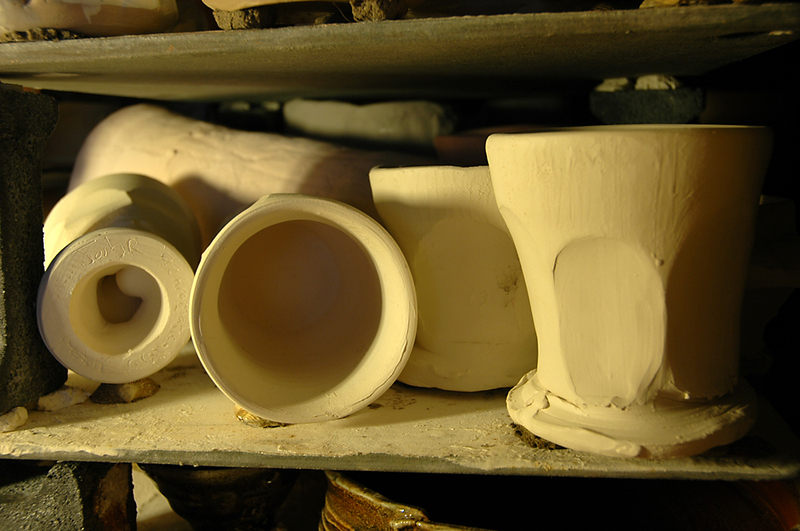 The course offers unlimited use of high quality clay, an electric potters wheel for each student and one to one tuition from a professional maker. The throwing studio is fully equipped and now very cosy indeed. Recent insulation upgrade to the building along with a new high efficiency wood-stove will ensure that you are warm at the wheel, even on the chilliest of winter evenings! Josh is offering secure payment through PayPal, or a cheque is also fine. The deposit of £50.00 secures your booking, the balance of £130.00 is payable on the first evening of term.